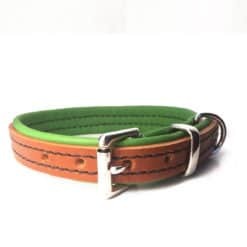 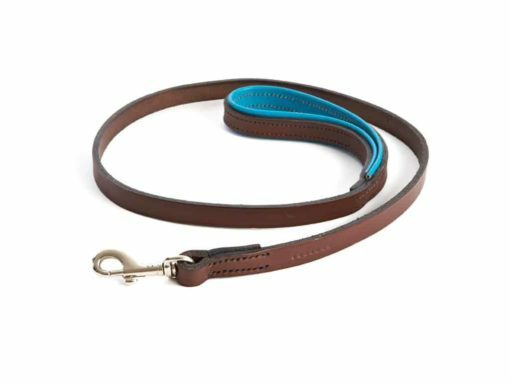 This gorgeous Brown and Jade leather dog lead will ensure that your stylish dog stands out from the crowd! 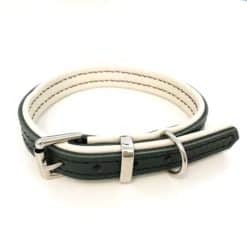 These leather dog leads are handmade to order in England by a family run saddlery using only high quality materials and are hand stitched for added strength and durability. 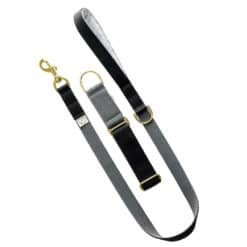 Choose from either a standard 3ft or extra long 4ft length lead, a 3/4″ or a 1″ width and either chromed steel or brass fixings. 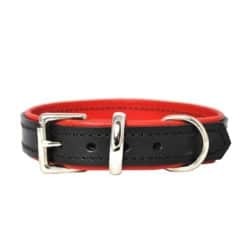 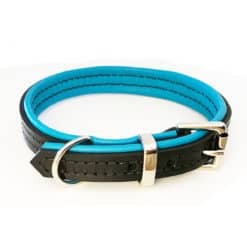 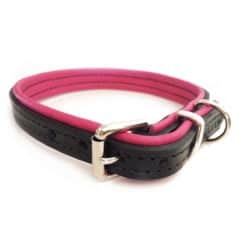 Whatever you choose, this leather dog lead will be perfectly suited to you and your dog!